Acrylamide is a suspected carcinogen that forms in foods with certain sugars and amino acids, when processed at a high temperature. Over the last number of years, rising awareness of it as a carcinogen has resulted in some governments introducing regulations with the aim of reducing its presence in foods. Many manufacturers have already taken steps to reduce its level of use. These European benchmarks for limiting the amount of acrylamide allowed in packaged foods came into effect in April 2018, but have already received some criticism from consumer groups. Following a recent European-wide test undertaken by ten consumer groups that sampled more than 500 foods products known to include acrylamide, such as crisps, cookies, coffee or breakfast cereals, European consumer organisations such as the BEUC, are now calling on the European Commission to lower benchmarks for acrylamide in food products. In this European test, cookies and wafers were found to have high levels of acrylamide at or above the current benchmarks (for example, 300 micrograms of acrylamide per kilogram of many breakfast cereals), a particular issue potentially for the health of younger children, who often consume these type of products. According to the BEUC, consumers, especially younger consumers, need to be better protected from acrylamide in their food. 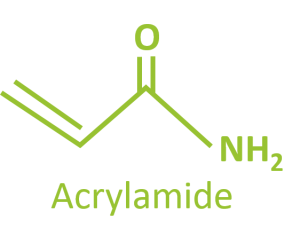 Acrylamide or 2-propenamide is a chemical compound, with chemical formula CH2=CH–CO–NH2, that can be produced at high levels in heat treated foods containing the free amino acid asparagine and reducing sugars. Common foods with these properties include potato based snacks, cereal bars, biscuits, and crackers. It is a by-product of the Maillard reaction, a series of non-enzymatic reactions between reducing sugars such as glucose and free amino acids. Is Acrylamide a carcinogen? What is the evidence and what are the risks? 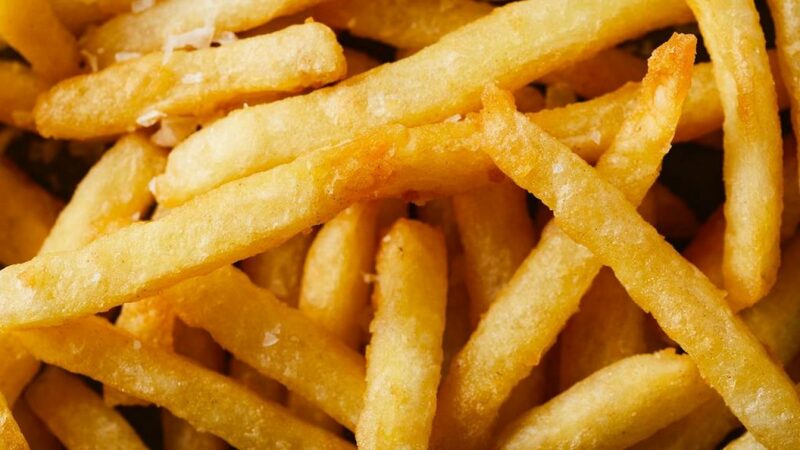 Based on animal studies, EFSA confirms previous evaluations that acrylamide in food potentially increases the risk of developing cancer for consumers in all age groups. Since acrylamide is present in a wide range of everyday foods, this concern applies to all consumers but children are the most exposed age group on a body weight basis. Possible harmful effects of acrylamide on the nervous system, pre- and post-natal development and male reproduction were not considered to be a concern, based on current levels of dietary exposure. How does acrylamide get into food and at what levels? Acrylamide is produced in some foods during high temperature cooking processes such as frying, roasting and baking. The level of acrylamide produced will be dependent on a number of factors such as time, temperature and pH of cooking, content of reducing sugars (e.g. glucose, fructose, galactose) and the amino acid asparagine in the food/system. Depending on the process and food base the levels can range from as low as 10ppb (bread) to as high as 5,000 ppb (potato crisps). Even though it has been shown that a temperature of 120 °C / 248 °F or higher is needed for the formation of acrylamide, there are reports confirming that this compound can be formed at temperatures below 100 °C / 212 °F (Biedermann and Grob 2003). It is important to note however that prolonged storage and heating time at high temperatures (higher than 120 °C) decrease the acrylamide content. The most extreme example of this would be coffee roasting, where acrylamide levels are decreased with prolonged high temperature roasting. 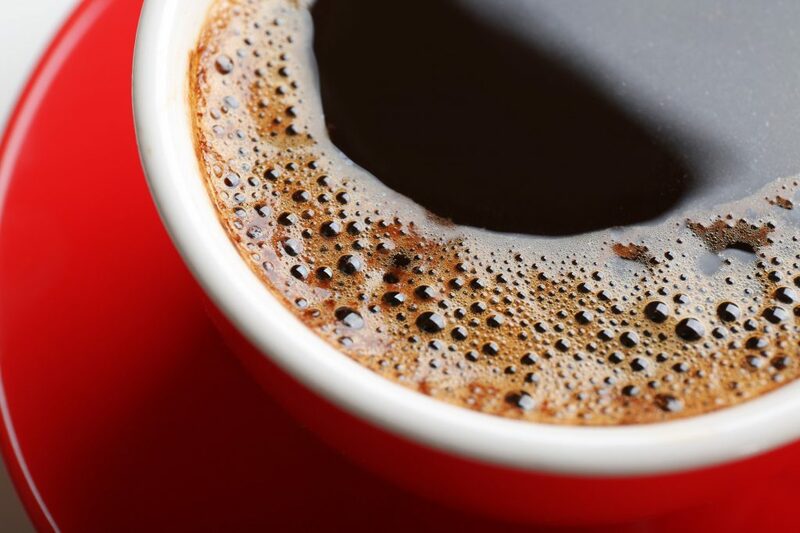 A typical lightly roasted coffee could contain as much as 1800ppb acrylamide where the same dark roasted variety can be as low as 300ppb. How can acrylamide be reduced in processed food? Analyse food products to understand levels present in foods post processing. Explore ways to reduce asparagine and/or reducing sugar content of chosen foods/raw materials for processing/cooking, for example removing potato starch from the formulation. More examples can be found in this toolbox. Control cooking temperatures and moisture content to reduce the level of acrylamide produced. This can impact processing and final product quality (taste and texture), therefore consumer acceptability will need to be taken into consideration. For example, baking at lower temperatures will require longer bake times. Prolonged storage and heating time at high temperatures (higher than 120 °C) decrease the acrylamide content but this may also decrease the quality of a food product. Monitor and allow for the impact of environmental and seasonal variations on acrylamide precursors in natural commodities such as potatoes. Explore alternative techniques and technologies. Replace ammonium bicarbonate, which has been shown to promote acrylamide production in sweet baked goods, with sodium bicarbonate, although this needs to be balanced against increased sodium intake. Reduce asparagine precursors with asparaginase. Asparaginase enzymes have been developed to reduce asparagine precursors in the raw materials during processing and hence reduce acrylamide production during the subsequent cooking, baking or heating steps. These solutions can be created with genetically modified organisms, or by using naturally occurring yeast cells with high asparaginase activity. Eoin Lalor has over 25 years of experience in the areas of cereal processing, biochemistry, and enzyme technology. He holds degrees in biochemistry and immunology and is currently the R&D Director of Enzymes at Kerry. Biedermann, M., & Grob, K. (2003). Model studies on acrylamide formation in potato, wheat flour and corn starch, ways to reduce acrylamide contents in bakery ware. Mitteilungen aus Lebensmitteluntersuchung und Hygiene, 94, 406–422. Surdyk, N., Rosén, J., Andersson, R., & Åman, P. (2004). Effects of asparagine, fructose and baking conditions on acrylamide content in yeast-leavened wheat bread. Journal of Agricultural and Food Chemistry, 52, 2047–2051. Tareke, E., Rydberg, P., Karlsson, P., Eriksson, S., & Törnqvist, M. (2002). Analysis of acrylamide, a carcinogen formed in heated foodstuffs. Journal of Agricultural and Food Chemistry, 50, 4998–5006.